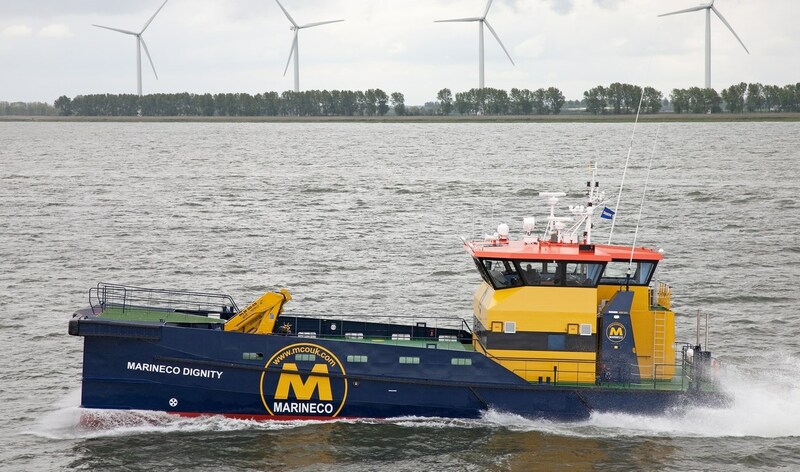 Home › Crew Supply Vessel › Fast Crew Supplier › Fast Crew Supplier 2610 › Fast Crew Supplier 2610 "Marineco Dignity"
On May 23, 2012, the 'Marineco Dignity', a Damen FCS 2610, was handed over to Mike Conafray, Director of MarineCo UK Ltd. The transfer took place after a naming ceremony held during the Seawork show in Southampton. The Lady Sponsor was Mrs Pauline Miller.